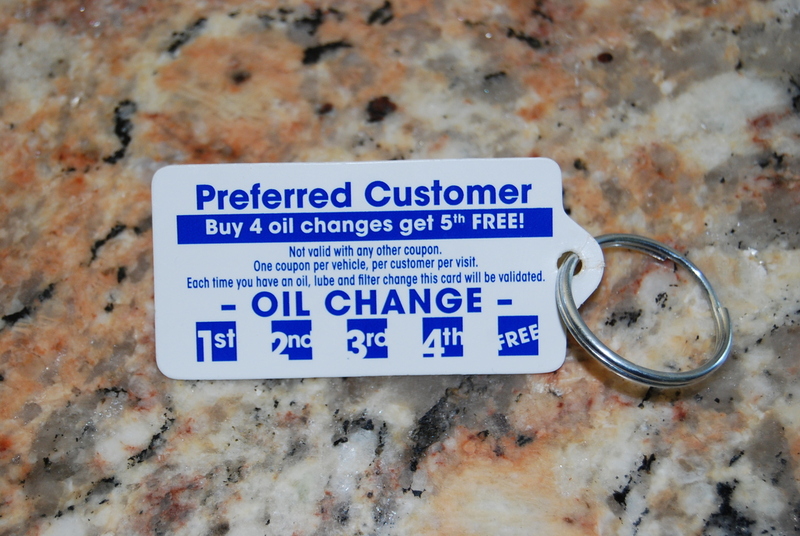 Plastic Key Fob shown in Rectangle shape, Preferred Customer, Free Oil Change promo. One color. 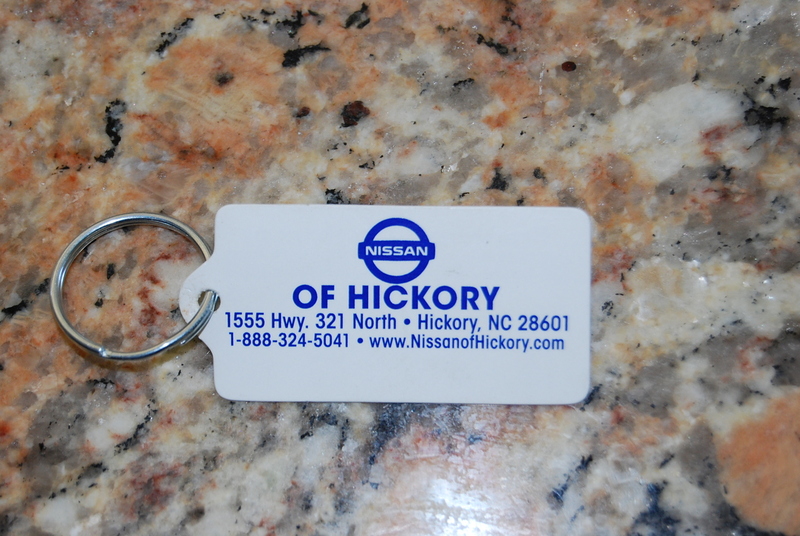 Enter Your Text Here/what do you want the back your key fobs to say? 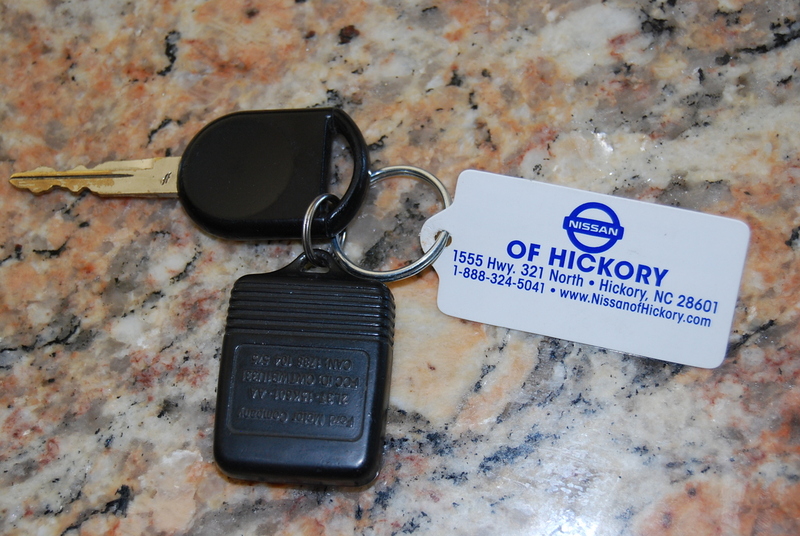 Plastic Custom Key Fobs are a great way to keep your company name and number in the hands of your customers. 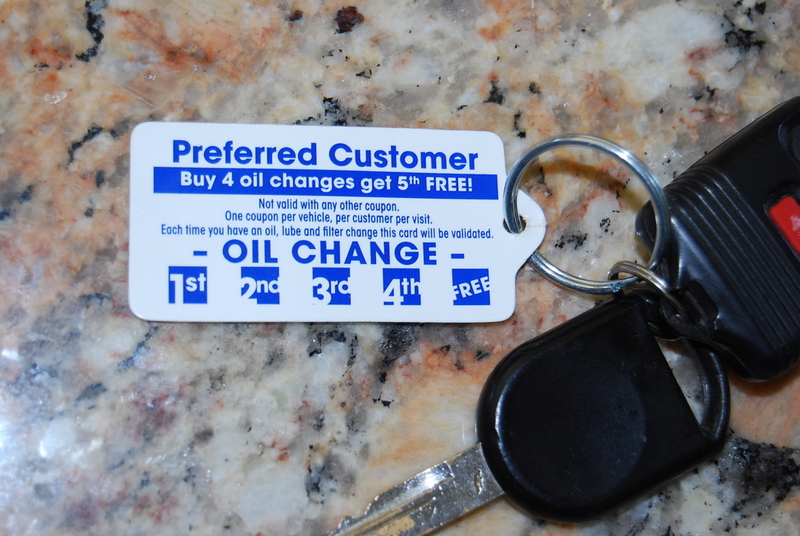 A great way to advertise your company information or keep your customers coming back with punchable free give aways like oil change, car wash, food items or any promotional items to show your custmomers they are preferred customers. Made of durable and puchable .23 mil Polyethylene. White poly plastic with 4 color process, use as many colors as you wish at no additional charge. 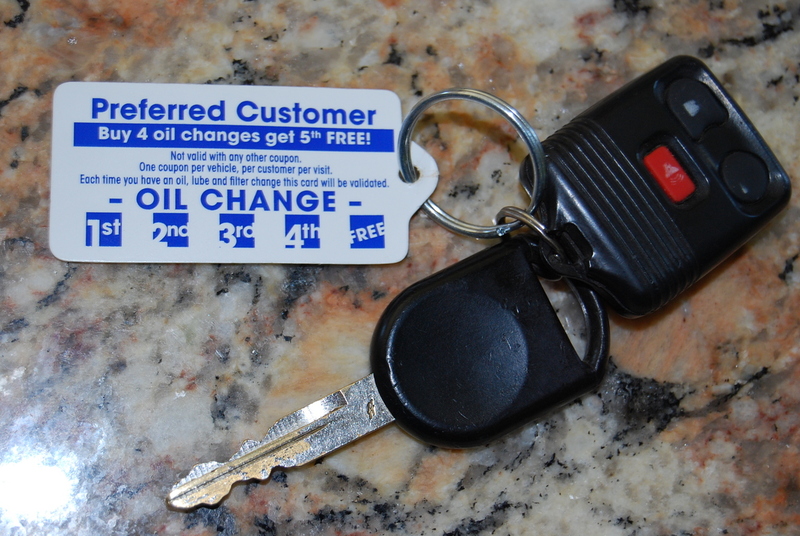 Heavy duty steel key ring included. 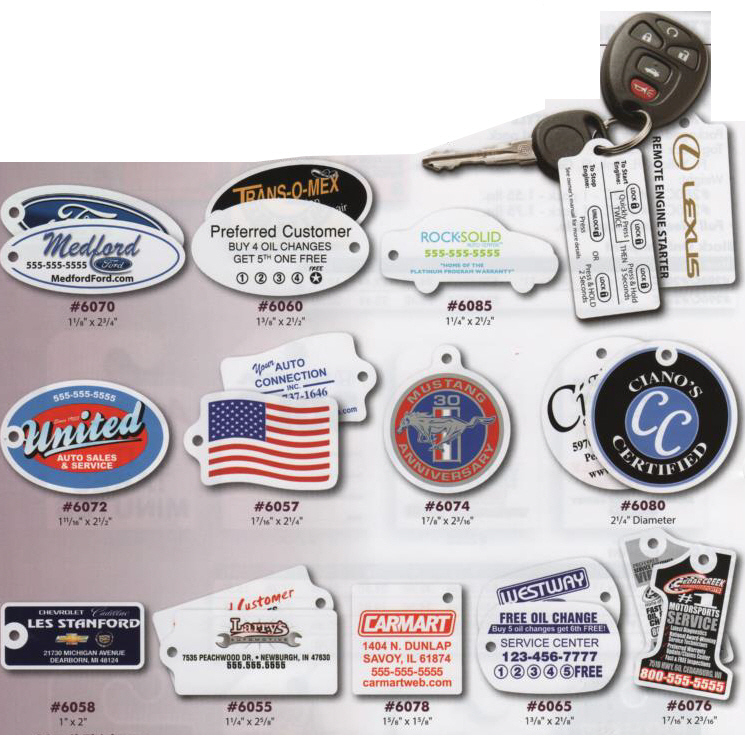 Choose from many popular die cut shapes. Front and Back printing available. Easy ording, just follow the drop down options and enter your information and or upload your logo or artwork. 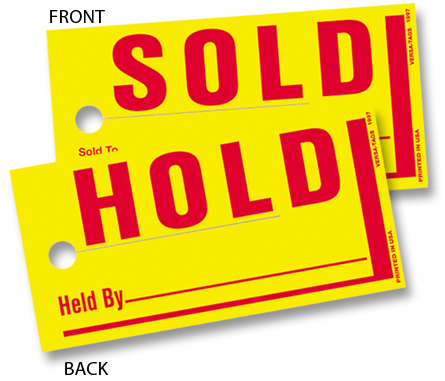 Check out our quantity discounts.